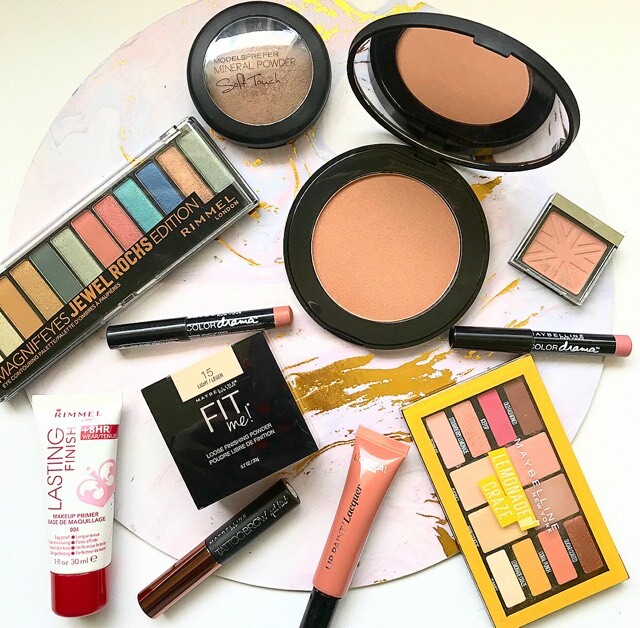 And just like that, Priceline has surprised us all with another half price all cosmetics sale! It seems like just yesterday that I wrote one of these. This sale starts today and ends Thursday. As this isn’t my first post on this topic, if you want to read any of my other Priceline Sale recommendations, you can find them here and here. And while all of those are still totally valid, there have been a few new things that have caught my attention. So if you want to know what I’ve been eyeing off at Priceline? Just keep reading! I only have two strong recommendations here. The first is a primer that is an oldie but a goodie. 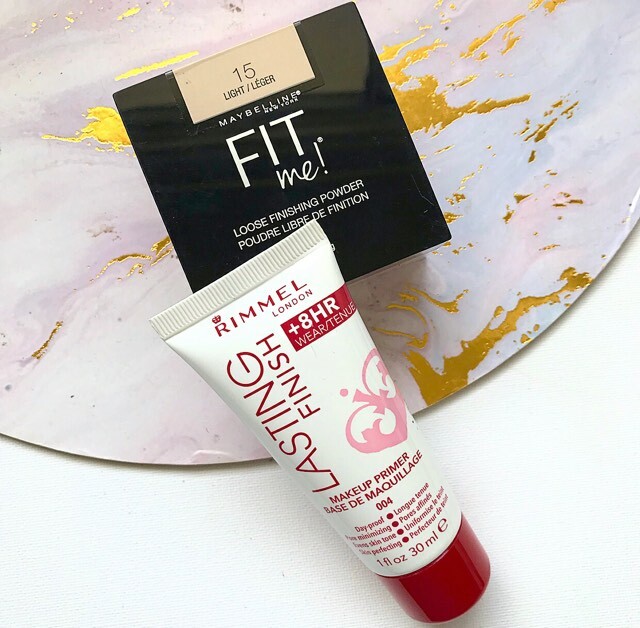 The RIMMEL LASTING FINISH PRIMER. It goes on like a thicker lotion, but as you rub it in, it becomes quite tacky and sticky. Helping whatever foundation you use really grip to the skin. I love this stuff and I’m almost out so I might pick up another bottle during the sale. The other one is definitely going to be a popular one, the MAYBELLINE FIT ME LOOSE FINISHING POWDER. I only very recently got my hands on this thanks to a especially awesome friend. But this is already my go to setting powder for all over the face. It does make your skin look poreless and smooth. Get it if you can! 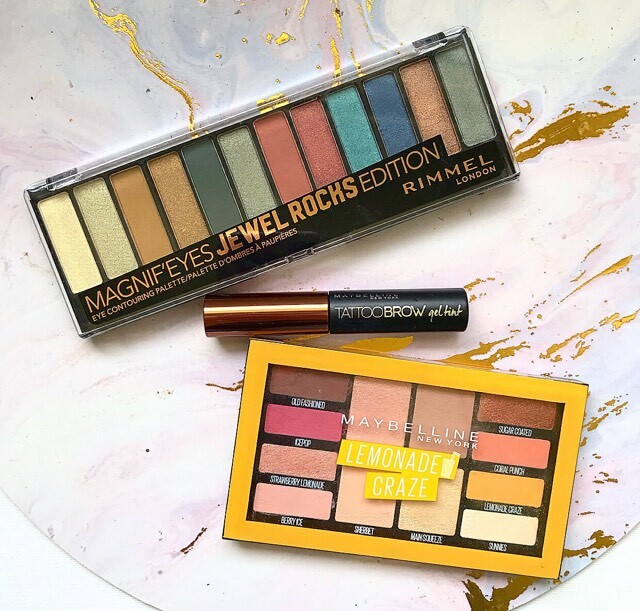 Those who are regular readers here won’t be at all surprised to see me recommend the MAYBELLINE LEMONADE CRAZE PALETTE here. While I did like it (and I still frequently use it), I also suggested that it would be a good one to pick up during a sale like this. So if you have been eyeing this one off, now’s definitely the time. One palette range I would pay full price for, but am glad it’s on sale, is the RIMMEL MAGNIF’EYES range of eyeshadow palettes. Rimmel actually makes some of my favourite eyeshadow palettes and they have a great range of shades. From the bright and bold (featured above is the Jewel Rocks), to ones that are a bit more everyday wearable. Finally, my secret weapon for filling in my brows on the quick, the MAYBELLINE BROW TATTOO GEL TINT. I use this every couple of weeks to tint my brow hairs and it lasts 3-4 days. It’s especially for me because I tend to be lazy with my brows and this takes care of filling them in for me. You know me, I have to recommend a bronzer during these sales. And I have two that I have been loving! The first is the NATIO MINERAL PRESSED POWDER BRONZER. First of all, this bronzer is huge! And it’s so finely milled that it’s a dream to blend. It’s definitely a warm bronzer, so a little does go a long way. but it leaves you with a gorgeous golden glow. I used this pretty much throughout summer and it’s still going strong. My other top shelf favourite and recommendation is the MODEL’S PREFER SOFT TOUCH MINERAL POWDER in Radiant Bronze. 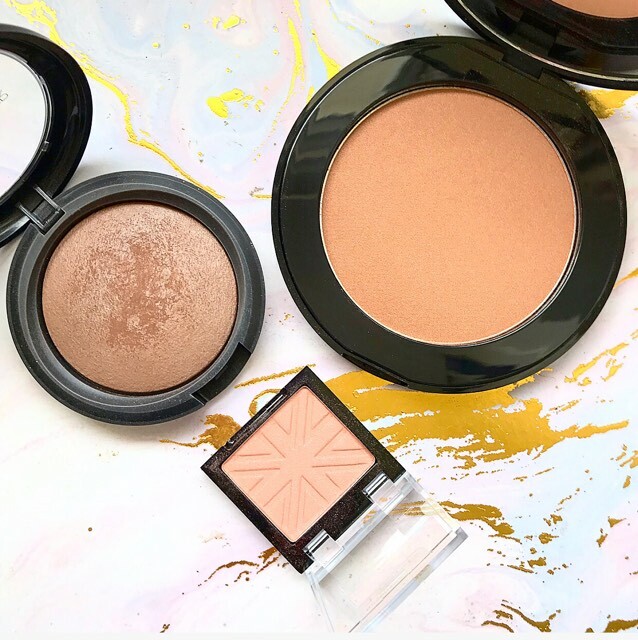 If you have ever wanted to try the Hourglass bronzers, but have been put off by the price, try this out instead. I swear it’s a dupe! The same gorgeous glowy finish on the skin and so easy to work with. This is already pretty affordable (Model’s Prefer is the in store Priceline brand), but half price is better. Finally, continuing with the Rimmel love, is the RIMMEL LASTING FINISH BLUSH. I’m not even a blush person and I think this is great. A little goes a really long way and it lasts ages on the skin. If you’re chasing a great little blush, this is an awesome on. Shockingly, I only have two lip products that I’m recommending today. Both however are blast from the past classics for me. First, the MAYBELLINE COLOUR DRAMA LIP PENCILS. These are so great! They are a chubby, sharpenable pencil, which means you can get a really crisp line with them. And the formula is so smooth and creamy. These are great! 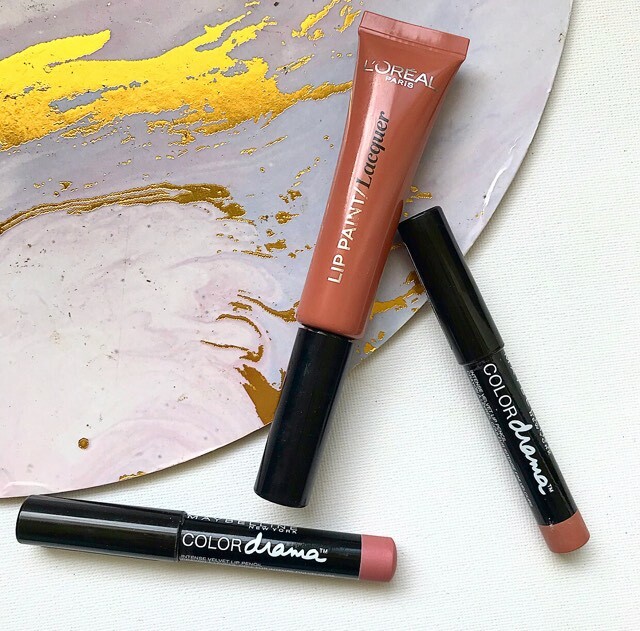 Finally, the L’OREAL INFALLIBLE LACQUER LIP PAINTS. If you haven’t see these, they are quite similar to my beloved Australis Grl Boss liquid lipsticks it’s that super pigmented liquid lipstick like formula, but it has a super glossy finish. They also have lip paints with a matte finish if that’s what you prefer, but the glossy ones are the way to go for me. And those are my recommendations. What will you be picking up during the sale? 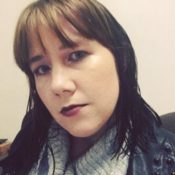 I myself have my eye on a few things (the Australis Grl Boss line has be especially excited). Let me know your picks and recommendations down below! It’s such a nice little palette for everyday. And it’s pretty easy to work with too.